Looking for a last minute Christmas present…how about an exotic cookery course? I sell both supper club and cookery course vouchers but there are certain cookery skills I do not have and sometimes its better to leave things in the hands of others that know how. Which is exactly what I did for my other half. It was his birthday last week. The other half is not an easy man to buy for and the only two things on his Christmas and birthday list this year were a sea safety course and a chain saw. Great! Just what I want to buy. In an inspired moment after a chance meeting I decided to buy him a half days cookery lesson. 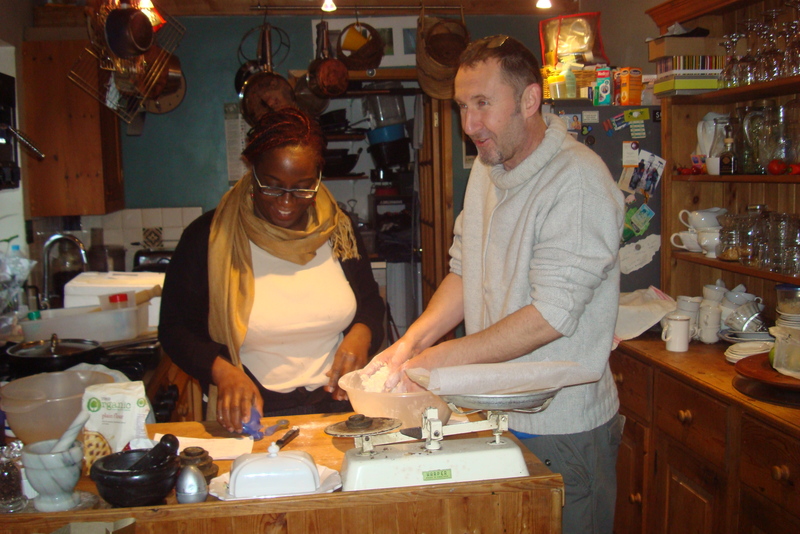 Those that know him will laugh, but it wasn’t any old cookery course in fact it was a West Indian pattie making course. Why? you may ask. Having grown up in and around Moss side in Manchester he grew up eating Jamaican Patties (which for those that don’t know are spicy meat or vegetable pasties). The pastry is quite different; yellow in colour but as I have discovered without the secret of how to do it, an authentic pattie is difficult to recreate….and trust me I have tried at his insistence. So I decided he could learn the skill for himself so I contacted Maggie from Maggies exotic foods and The Melting Pot Cafe. We had a few conversations and we set a date for her to come and spend an afternoon teaching him. We managed to keep it secret despite his constant questioning “will I be learning a new skill?” yes we said “do I have to take my clothes off”? um, definitely not! He only guessed what he would be doing when Maggie arrived. He was nervous as hell but Maggie was a wonderful teacher explaining everything to him patiently. They banned me from the kitchen, which was quite nice but also a little disconcerting. I could hear them chatting and it all sounded very relaxed and basically good fun. 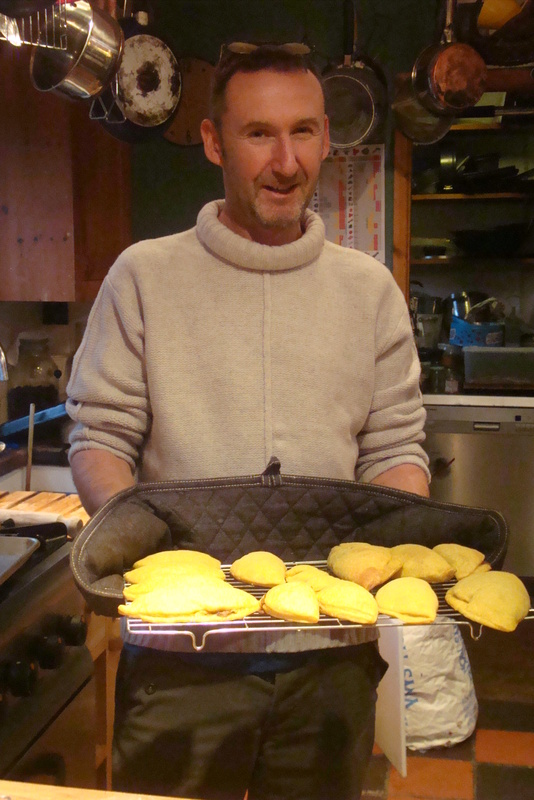 At the end of the session Sean proudly presented his cooked patties….they were delicious and very moreish! He now has the skill to make more and I will no longer get hounded to make them…so we are all happy! Seans verdict? The most unexpected, random but fun and useful present…he was a very happy man. Great job! Maggie and Sean! Thank you guys for sharing you Skills about the delicious food :)..